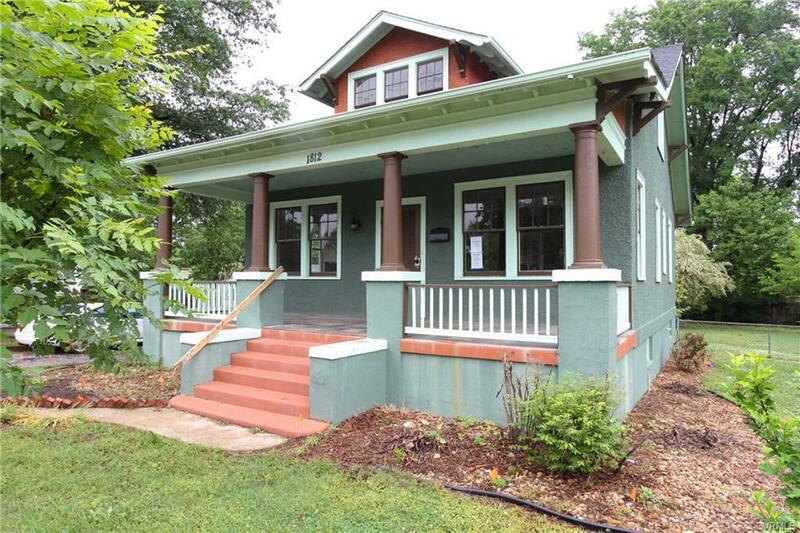 This lovely Craftsman/Bungalow style home has been beautifully renovated with many modern updates, yet still has much of the character and charm of its original style. This home is truly a must see! The living and dining areas have been opened up to the kitchen and is flooded with natural lighting. This area is generously sized and features 9' ceilings and large windows, which is the first thing you will notice upon opening the front door. Next, you will notice beautiful original features such as the fireplace mantle, heart pine floors, and trim and details from ceiling to floor. The kitchen has been updated with granite counter tops, stainless steel appliances, and gorgeous marble flooring. The first floor master is connected to a full bath, and the 2 additional bedrooms upstairs, have access to a renovated bathroom with plenty of natural lighting as well. This home has all the charm of Lakeside and is a short walk away from Lewis Ginter Botanical Gardens and Belmont Golf Course. If great location and charm are on your list of essentials, you cannot let this amazing opportunity pass you by! HUD homes are sold as-is, with no guarantee or warranty by the Seller or Listing Broker.